The property is part of the Lifestyle Holidays Vacation Resort complex set in lush, tropical gardens on Cofresí Beach. 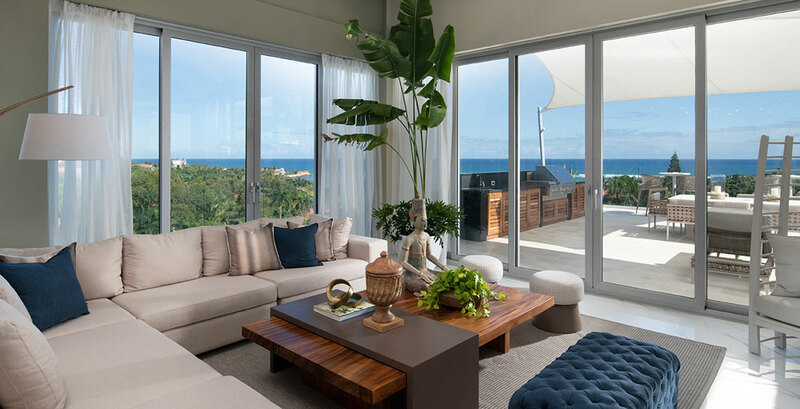 The four-story building features oneand two-bedroom suites that include an open-plan layout, a sophisticated design with clean lines, a neutral palette complemented by colorful modern art, and scenic mountain and ocean views. Members and guests have access to a host of amenities and services within the complex, including more than 10 a-la-carte restaurants, two buffet-style restaurants, 15 bars, bar waiting service at the beach, live entertainment, firstclass spa and wellness center, outdoor swimming pools, marina, tennis courts, and much more.